Support Lorien Wood through a variety of easy-to-use rebate programs! 1. Shop on Amazon to Support Lorien Wood! Lorien Wood participates in the Amazon Smile Program. By using this LINK to access Amazon, all your purchases earn up to 10% of every purchase to benefit Lorien Wood School! Once you use our school-specific link, you’ll still be routed directly to regular Amazon site and can shop as you normally would. Lorien Wood parents can join Lorien Wood Tuition Reduction Incentive Program (TRIP) to reduce tuition through their purchase of scrip gift cards and earn a 4% rebate to the school at the same time. To learn more, visit our TRIP info page (under the Parents tab). 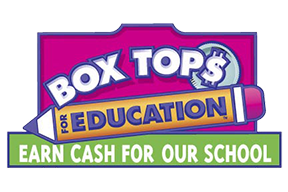 Collect BoxTops from a variety of products already in your kitchen pantry, and send them into Lorien Wood where we can submit the BoxTops for cash rebates to benefit our educational program. Parents, aunts, uncles, grandparents can all participate in this easy way to support Lorien Wood!